Ah, we must be approaching the latter half of summer. Know how I know? 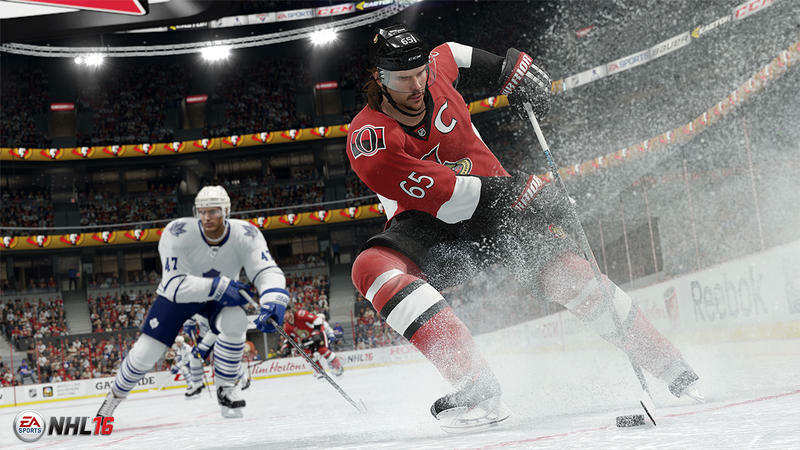 EA Sports has started the campaign of showing off the tweaked features in their upcoming entry in the NHL franchise. 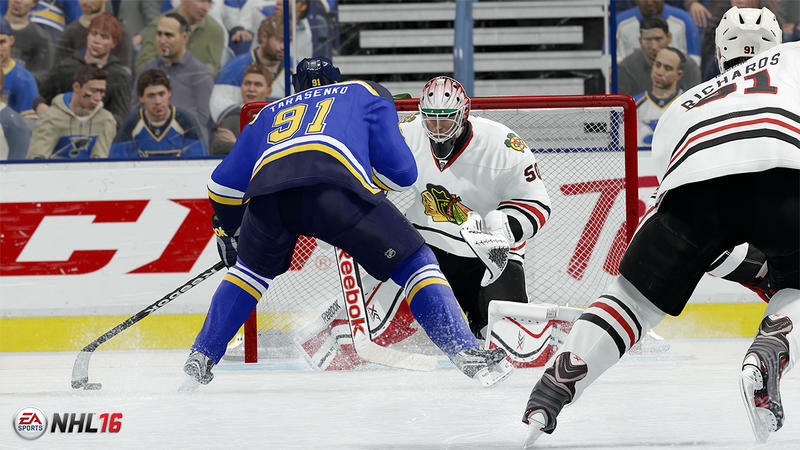 This time, it’s NHL 16, and the video clip discusses the precise control and gameplay balance of the title. That’s the trailer you see above. 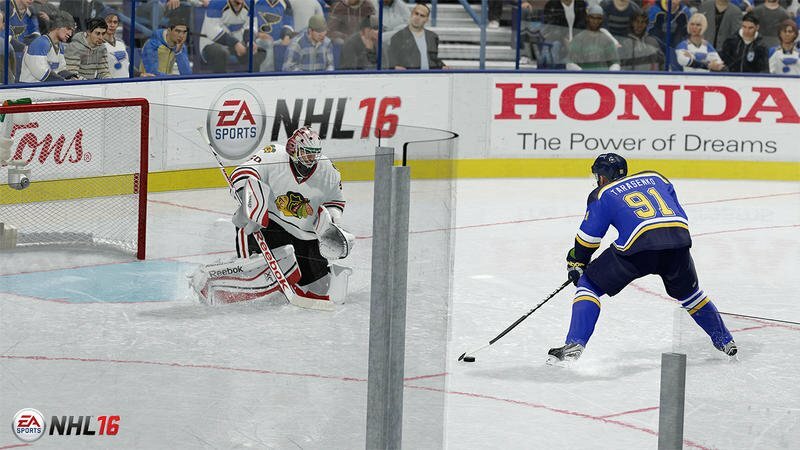 Alongside that, EA Sports showed off a little overhead gameplay for the title as well. What’s more, they broke down the trailer in second increments to show off some of the new gameplay stuff in action. All that is actually pretty awesome. Here’s the clip, then look for the breakdown from EA below. The markers indicate time left in the period according to the game clock, not the time in the video. 1:50 – Silfverberg shoves Sustr from behind, who loses control of the puck in a subtle stumble. 1:25 – Silfverberg’s stick makes contact with the defender’s legs which causes him to lose control of the puck. 1:19 – Stick on stick contact from backside pressure, which causes Silfverberg to fan on the shot. Sustr picks up the puck but loses control after running into traffic. 0:57 – AI defender Vatanen makes a smart pinch after holding the blueline and picks up the puck in stride. 0:55 – AI defender Sustr shows strong facing when he parks in front of his net early. His good position helps him pick off a cross-crease pass and is able to quickly transition out of the zone. 0:46 – AI defender doesn’t have enough time to react and just misses defensive deflection on the pass from behind the net. Boyle takes an unsettled one-timer and the shot goes wide. 0:42 – The relative speed of the pass is too hard for the Anaheim player to handle in close proximity, so he mishandles the pass before picking it up with control. 0:38 – AI defender Coburn is in good position and cuts off the passing lane from the streaking offensive winger. 0:33 – AI defender is able to get a stick into the passing lane, but the puck still deflects to Kucherov who is able to corral the puck. This slight break-up in timing forces Filppula to drag his foot to stay on-side. 0:30 – Kucherov turns the puck over as he gets rubbed out into the boards. The strong back-check and defensive support from Thompson results in a quick breakout for Anaheim. Right? There’s a lot going on in the clip, and I’d argue that a vast majority of the changes and action rattled off there is of the subtle variety. 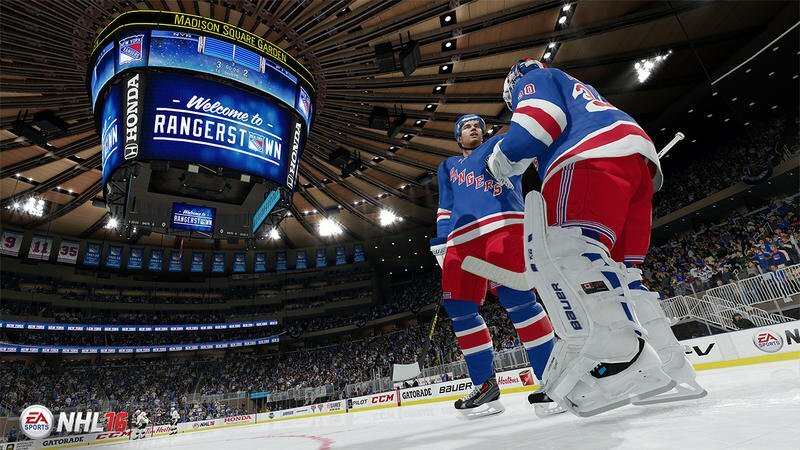 Quite honestly, NHL 16 has a lot of ground to make up in the wake of the effort that was 15. We’ll know if it does that when it drops on September 15 for the Xbox One and PlayStation 4.